The Pirate Empire: The Pirate Empire Presents: Fun With Flags. It’s the Royal Standard of the Sovereign of the United Kingdom – the Official standard (officially a war-banner) used by Queen Elizabeth II and all British rulers since 1837. It flies over whatever home, castle, ship or limo they happen to be in. The date a little late (ok, a lot late) for our time period, but it got the thinking about how various flags have changed over the years. 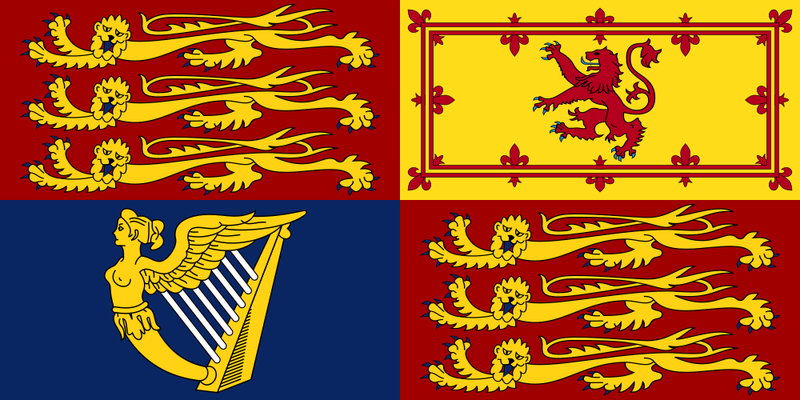 This one features (twice) the three royal lions of England, the single royal lion of Scotland, and the harp of Ireland. 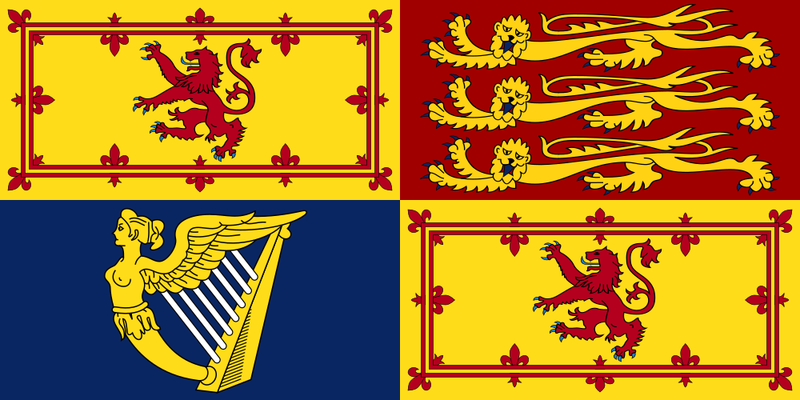 (When in Scotland, the flag is changed to this one, with two Scottish lions. Apparently, the Scots are very persistent in getting what they want. This is the earliest flag of England – a red cross on a white field. It is the Cross of St. George, the patron saint of England, and has been in use since the Middle Ages, when England, like almost all or Europe, was a catholic country. The so-called Union Jack, which became the national flag of the United Kingdom (England, Scotland and Wales) in 1707, had been used as a flag by the Royal Navy since 1606, and was therefore the flag that most pirates in the Caribbean would have been familiar with. The fact that it began as a sea-flag also explains why it is commonly called a “jack.” At seam the “ack” was a flag flown from the front of a ship on a short pole called a jackstaff. It is said that both jack and jackstaff relate to the name of James I, king of England in whose reign (1603–1625) the flag was designed. Like the previous flag, Scotland had to be special, and had a versions of the flag where the white saltire went over the red cross. as its symbol, since the flower is a symbol of several Catholic saints. Since the days of Joan of Arc, French national heroine, the color white has been associated with the royal house of France. 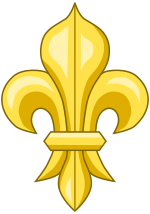 During the Golden Age, the French national flag was a white field strewn with many gold fleurs-de-lis. The naval flag of France, however, was a plain white flag, signifying purity of purpose. ‘The fact that a white flag also represents surrender or a pause for parlay was probably a source of amusement among the English. The Dutch flag has been a similar design since the Middle Ages, Originally the red stripe was orange, in honor of William of Orange. But orange was not a traditional heraldic color for flags, and was hard to decide on a shade. In 1630 the orange was officially changed to red. 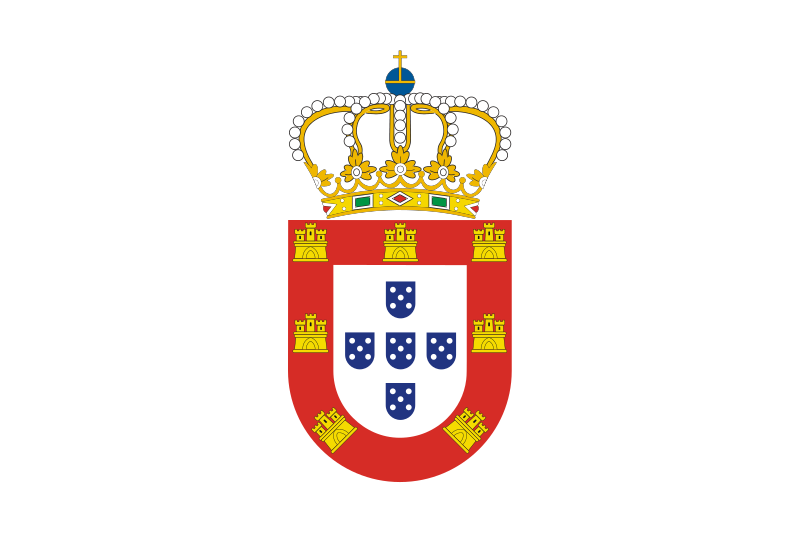 The flag of Portugal, like the flag of France, was mostly white. 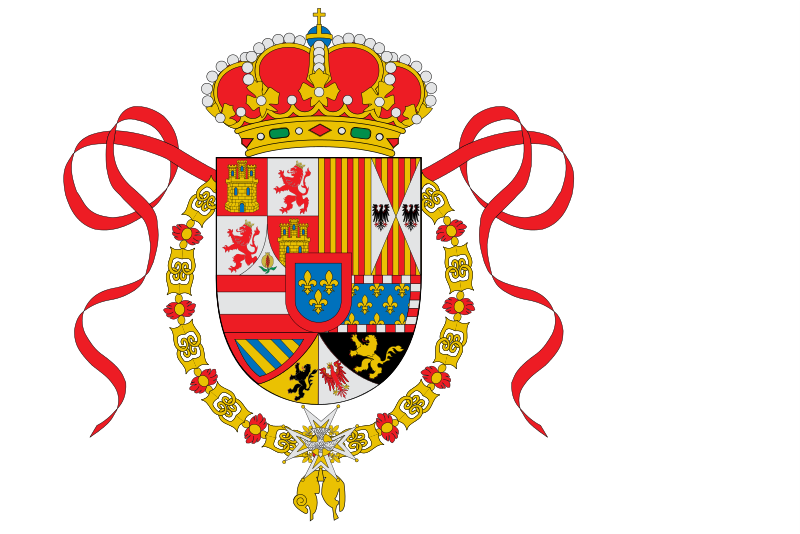 The basic flag design was a crown over a shield that bore the country’s coat-of-arms. It was refurbished occasionally to reflect fashion trends in both. Peter II who became king in in 1667, he adapted the crown by transforming it into a five-arched crown. It was refurbished again by Peter's son John V, in 1707. A red beret was then added under the crown and the shield was given a new shape. This flag then survived into the mid-1800’s. 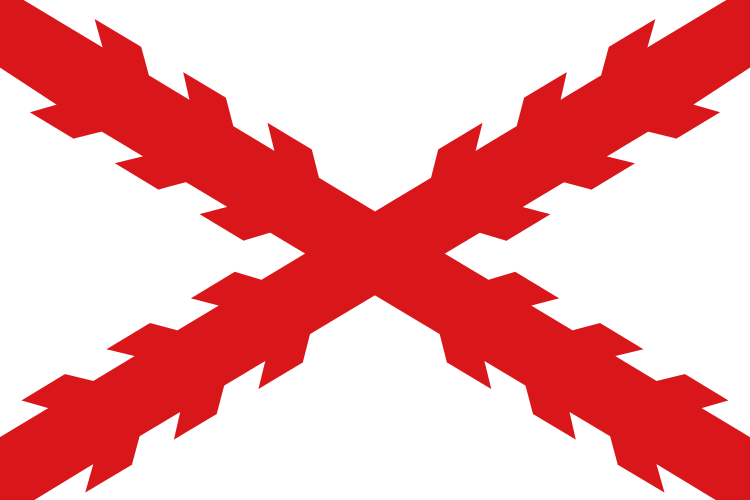 The Spanish, ever the conservatives, were late to come to the concept of a national flag. 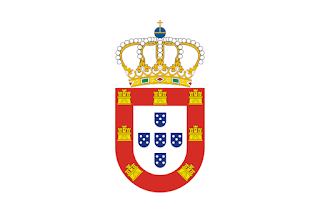 Ships flew the flag of the saint who was assigned the task of guarding the ship, and sometimes a regional flag. In the late Middle Ages, ships were encouraged to fly the cross of burgundy, but it could be embroidered on either a yellow or white background. The flag below, which is mostly Spain’s coat of arms, was officially adopted in 1701 and flew until 1760 so most pirates would have recognized it. So that’s it, the basic flags that Golden Age pirate would have seen and recognized. Sometime soon, we’ll have to take a closer look at the time period between 1701 and 1715. A lot was happening, and much of it affected pirates.